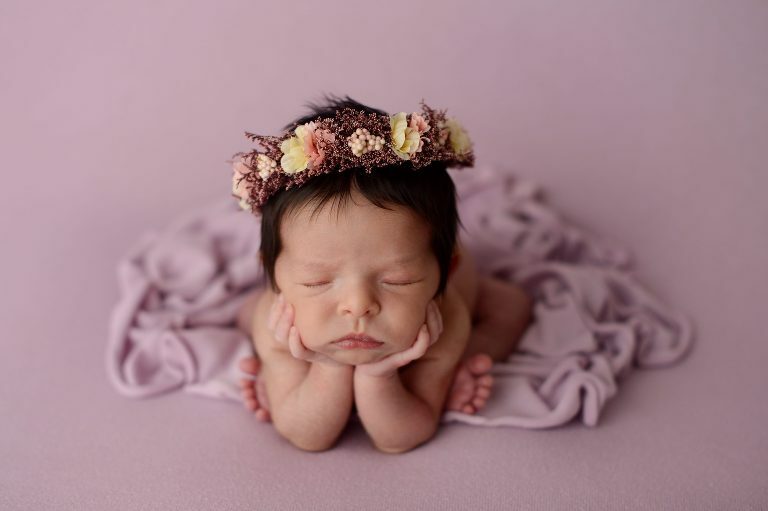 I kicked off 2018 with the sweetest little peanut in my Queens, New York newborn studio. She was my first newborn of the year and boy did she kick off the new year with a bang. 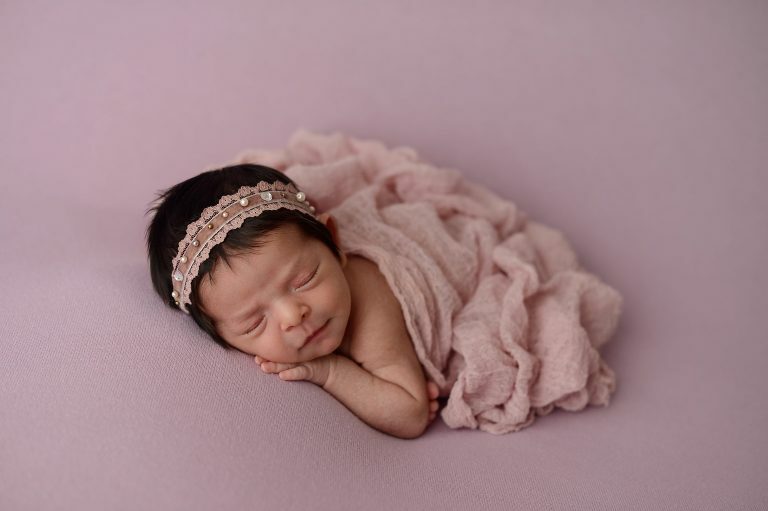 Her name is Aria and her mom booked this session 3 months in advance. She was so excited and I love when clients are excited to shoot with me. Nothing feels better than someone falling in love with your photography and I’m always just as excited to photograph them. I take on a limited amount of sessions each month and therefore encourage all clients to pre-book their newborn session before the baby is born. If you wait to schedule after the baby arrives, I can’t guarantee that I will have availability as sometimes my schedule books out weeks in advance. I’m often asked how I can book newborns before they are born because as we all know babies come on their own schedule! 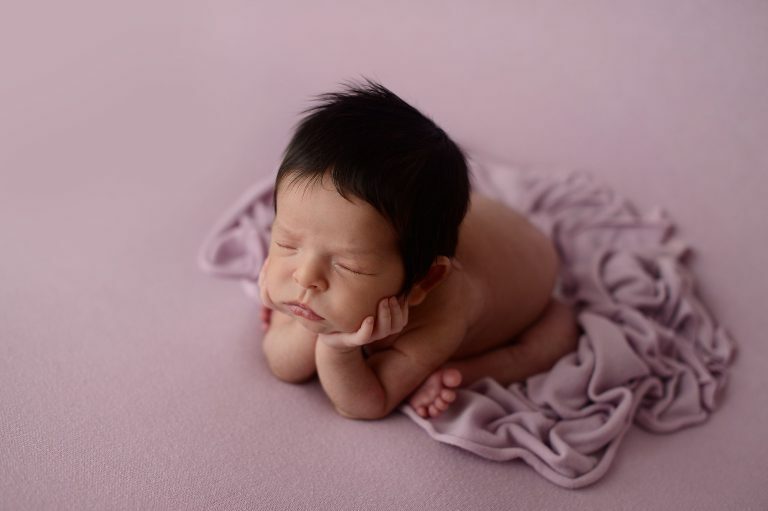 However, we pre-book newborn photos on mom’s due date with the expectation that most babies do not arrive on schedule. The actual session is scheduled once baby arrives. This also ensures that you can get your newborn into the studio during that sweet spot when photographing them is ideal. 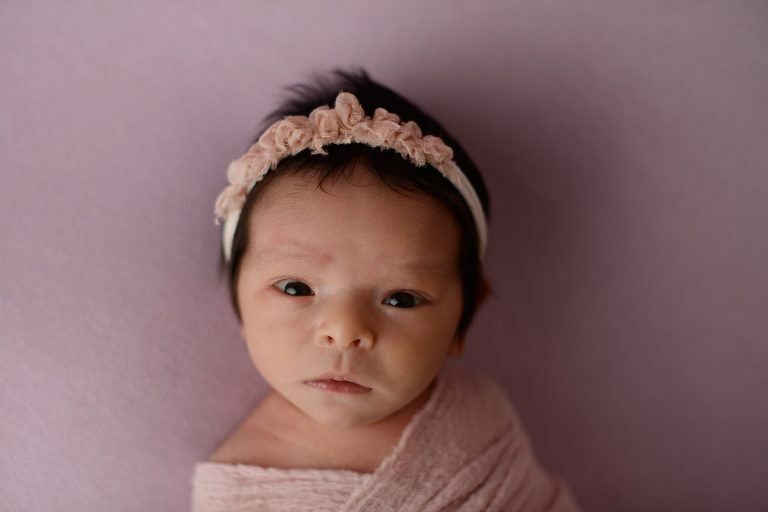 Aria came into the newborn studio at 2 weeks old. Typically at two weeks old, babies are great sleepers. But this sweet girl had other plans! In fact, she was awake for most of her session. This means that we typically get fewer posed shots of the baby than we normally do. Although, on the plus side, we got some beautiful photos showing off those big brown eyes and the posed photos of her sleeping turned out fabulous. I just love all of the hair she had and the way it popped against purple & cream! She did love being wrapped up though and fell back asleep at the end. Want to see more gorgeous newborns? Check out Adele’s newborn photos.